Silver Basin is on the way back from the top of Yankee Boy. We often tell folks to go to the Twin Falls on the way to Yankee Boy, and turn back there, and have time to go up here and see the two lakes. 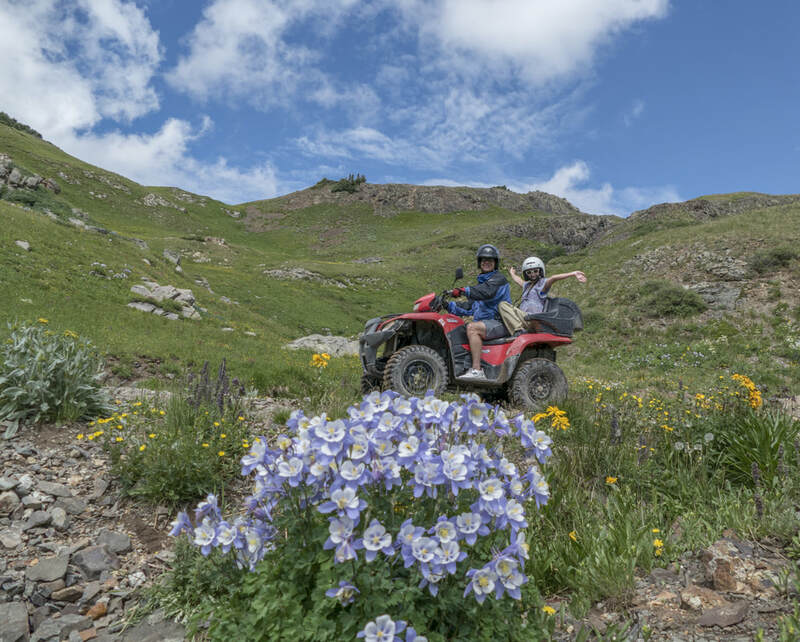 A great ride up there and the flowers everywhere along the way for the next few weeks will be awesome. Bring your camera! 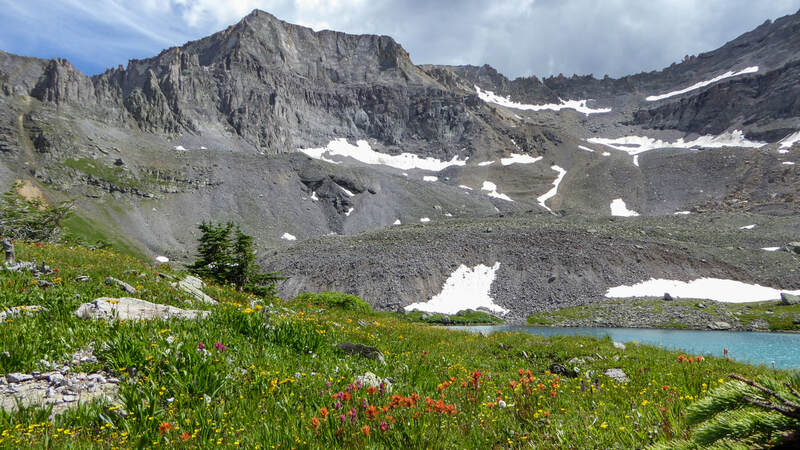 The San Juans offer unbelievable views and trails for bikes. 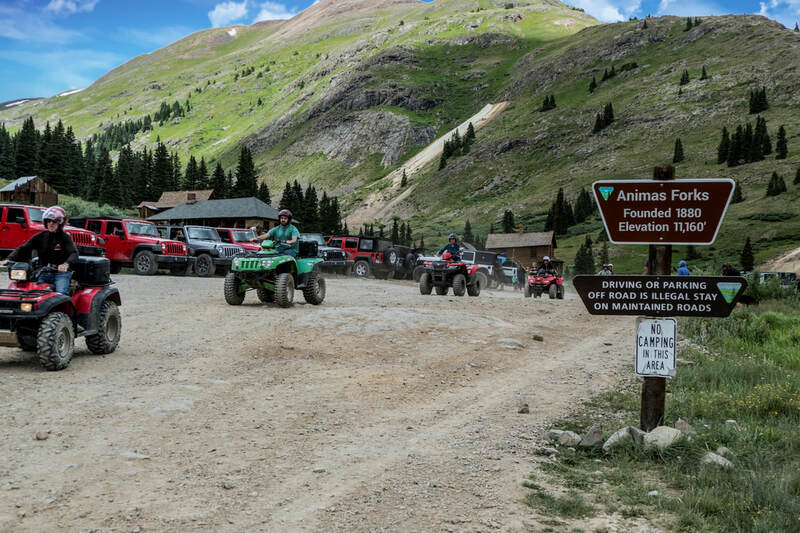 In addition to RZR, Ranger, and ATV's we offer bike rentals and tours. Here we see tour guide Jamen coming down Hurricane Pass just prior to the turn up Corkscrew Gulch. Did you know that we tour throughout the Western U.S.? Call for details. 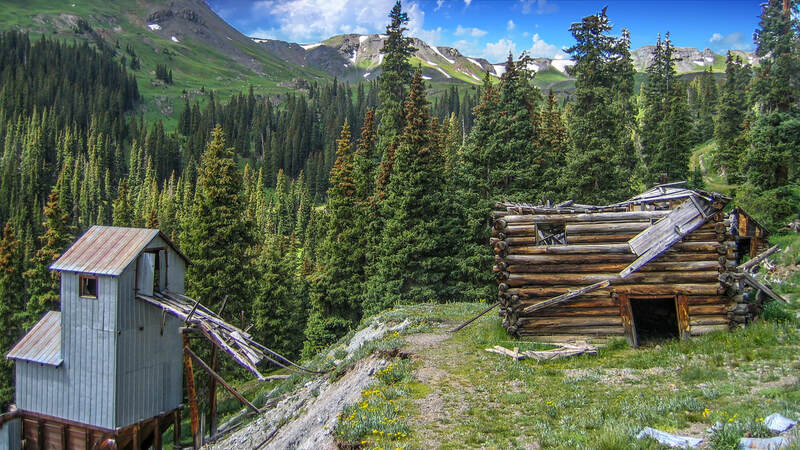 The San Juans are packed with historic mining and ghost towns, mill ruins, and thousands of mine shafts. Below we head out from Animas Forks. 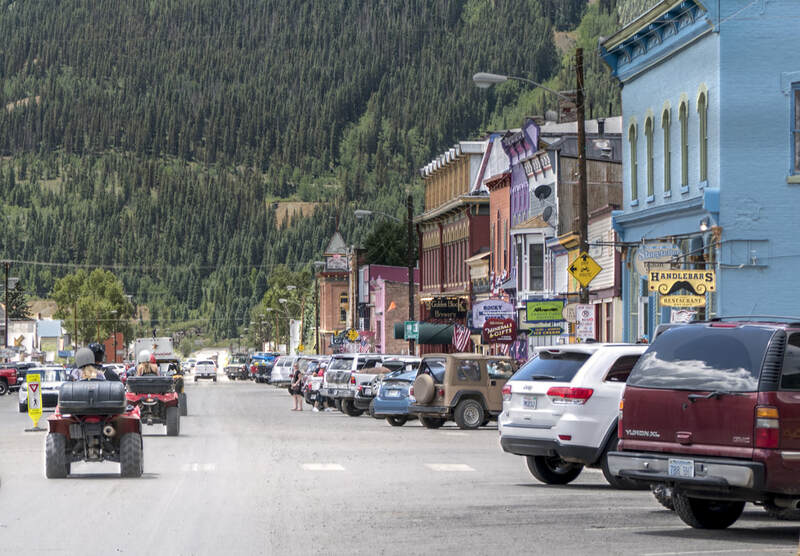 We pay attention to the OHV signs in Silverton, park, and have a great lunch. Our starting point was Ironton Park on US550, exactly 8.1 miles from Ride-N in Ouray. This starting point leads us up Corkscrew Gulch, and then down into Silverton about an hour later. Coming around the corner on San Juan County Rd. 99, it's a feeling of sheer exhilaration. We head down into Treasure Mountain and onto CR 2. Today we took a beautiful early season ride up to Imogene Pass around mid-afternoon. It's quite enjoyable as the trails aren't slam packed and the waterfall and river crossings are really roaring! 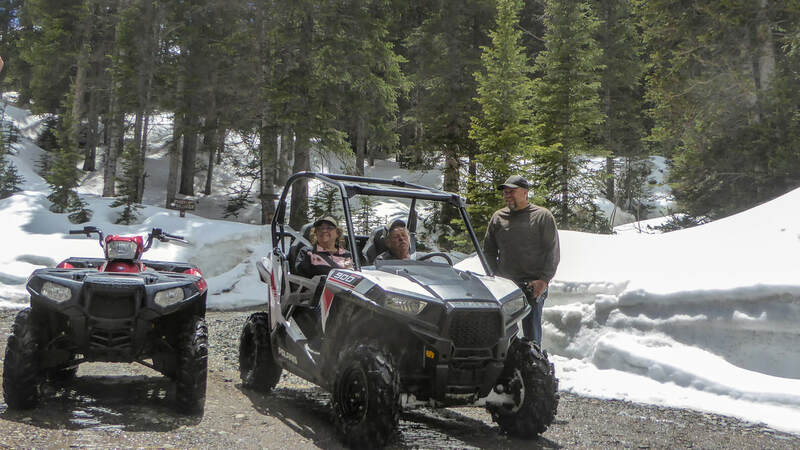 My weapon of choice was the newest addition to our fleet, the RZR 900 2-seater. 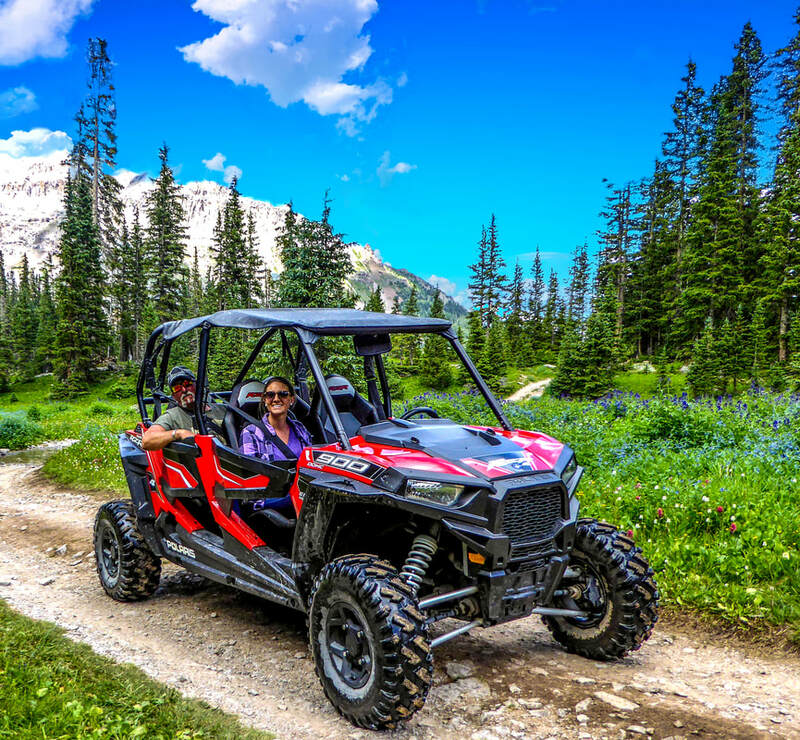 This vehicle was a smooth and enjoyable ride and doesn't have any problems conquering the treacherous landscape Imogene Pass has to offer! Nearly to the false summit, we came to the end of the road as the pass is still closed due to snow, you can see the snow banks plowed tall in the pictures! 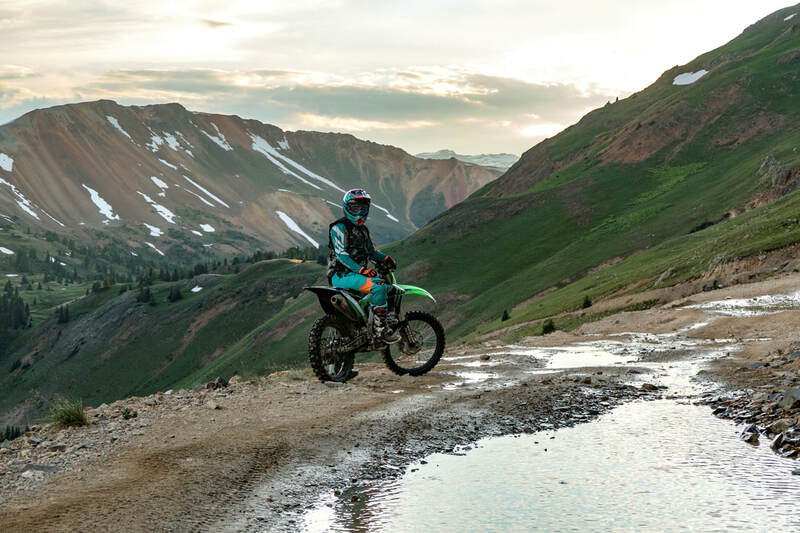 This is a beautiful time to enjoy the scenery of the San Juan Mountains, we couldn't have asked for a better day to take a ride! Although a lens will never capture the true beauty of this land, it sure is nice to take memories home after a great day with Ride-N Adventures! Don't forget your Camera! 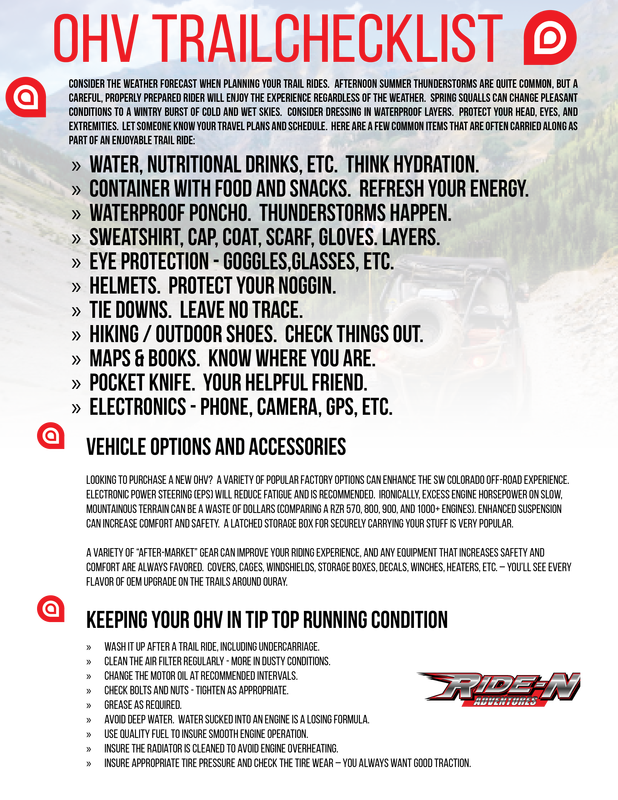 Here you can find trail experiences and stories from our Guides and Customers! If you have an experience to share, please email us.